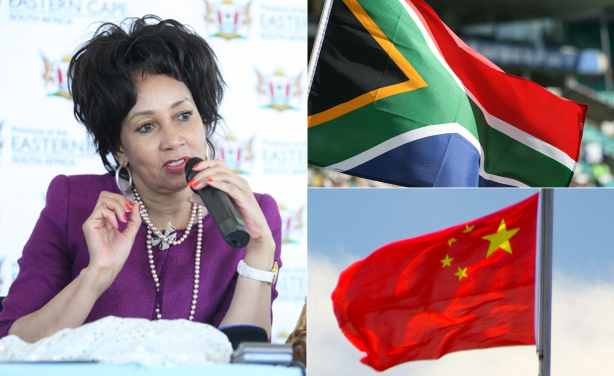 The first group of 19 English teachers have landed back on South African soil after they were detained in China for several months. 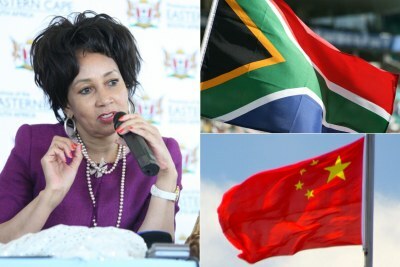 Left: Foreign Affairs Minister Lindiwe Sisulu. Top-right: South African flag. Bottom-right: Chinese flag.